Surgical education is the fundamentals of medicine and warrants experience transfer from generations to generation to achieve a better disease management. Laparoscopic procedure requires a steep learning curve compared to conventional open procedures due to two-dimensional vision, lack of tactile sensation and limited working space. The training curriculum in laparoscopic procedures includes not only didactic lectures but also hand-on surgical training lab. 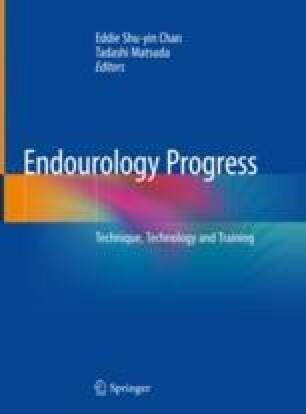 The application of computerized simulators, tissue analogue simulators and cadavers is proved to be efficient for surgical skills training in laparoscopy. The training in nontechnical surgical skills is found to have positive impact on surgical training, especially in interpersonal communication and team work during emergency scenarios in the operating room. This chapter will discuss the concept on surgical training, training curriculum design, the application of simulators in laparoscopic training and nontechnical training in laparoscopic surgery.